Late January 2017 a team of 18 people boarded planes from all over the US, including Hawaii headed to India. The team was made up mostly of people who were medical professionals. They had been invited to “ come and see for yourself “ what is going on over there. All the team slots were filled quickly. The invitation came from Colleen Sweeney of Sweeney Health Care. Colleen and her husband Steve are long time participants and supporters of The Rhema Project. Colleen has a vibrant personality and her enthusiasm is contagious. She has a heart of compassion toward these young girls and women of India as well as the women on the medical team. The Medical Mission Trip had a few specific goals along with many hopes. To encourage nursing students by giving them a real life example of a confident women in the nursing field. To bring new life to the Bethel campus hospital and cast a vision for what it could be. To medically serve the local people from the villages in cooperation with doctors from CMC Hospital, Vellore and Salem. To show visible international support to the investment in the Bethel / CMC partnership potential. To be ambassadors for Bethel in renewing it’s position and influence in the area. To open up bridges of possibility between Bethel Hospital and American hospitals. To inspire the teams members to see beyond where they have been and expose them to anew and bigger world. The trip was a phenomenal success on all levels. In the coming weeks I hope to “unpack” some of these stories in pictures, video and written stories. I will highlight specifically how The Rhema Project is benefiting these women of Bethel and the villages in southern India as well as how you can participate. 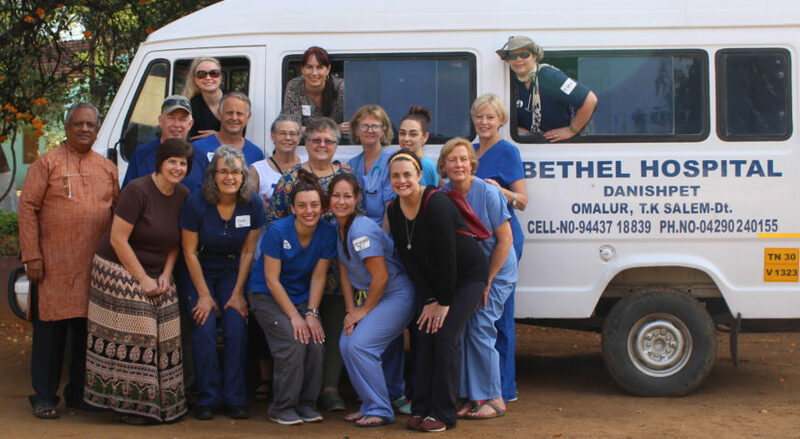 The connection between the Medical Team and the girls of Bethel was nothing short of remarkable. I truly believe everyones lives were changed! Detailed information and donation opportunities available for the Student Nursing Program. The beauty of this opportunity is that everyone can participate at some level, from a one time donation of any size to an ongoing monthly or annual commitment. A fun first video is a short clip of what it looks like to get to India.